the call is coming from inside the house. (self surveillance, mental health, and the subject of capital.) — PEACH-TREE, PEAR-TREE. Back in August, the left wing magazine Red Pepper published a piece by Rod Tweedy entitled ‘A mad world: capitalism and the rise of mental illness’. The standfirst expands on the provocation offered by the title, asking, “What if it’s not us who are sick… but a system at odds with who we are as social beings?” While I accept that Tweedy, in all likelihood, bears no responsibility for this unfortunate glossing of his article, it does, however, remain in place some seven months after publication, serving as a lens through which, inevitably, the remainder of the piece will be read. With this in mind, I want to offer a loving critique of Tweedy’s argument, from my own position as both leftist theorist and mentally ill person. In so doing, I’m going to draw both on Foucault’s nebulous account, in Omnes et Singulatim, of how the ‘Western’ subject has been constituted by ideological forces, on Frantz Fanon's decolonial theorising, and on my personal experiences. rooted in a fundamentally flawed, naive, and old-fashioned seventeenth-century model of who we are—it tries to make us think that we’re isolated, autonomous, disengaged, competitive, decontextualised—an ultimately rather ruthless and dissociated entity. The harm that this view of the self has done to us, and our children, is incalculable. On this view, all that white settlers had to do to claim ownership of the Americas was to assert that the indigenous peoples to whom they rightfully belonged¹ were ‘discovered’ in a pre-cultivated 'state of nature'²—something we now know to be untrue (see Mann 2006)—and to put it to some sort of productive, recognisable ‘use’. And just like that, ‘America’ became ‘Western’. To this day, US conservatives and libertarians make sincere Lockean arguments for the superior moral claim of white settlers to Indigenous land. To be clear, then, I am not here as a defender of Locke, or of Enlightenment values; nor do I think that the capitalism borne of said values is in any way conducive to the flourishing of life. The difficulty arises when Tweedy moves from broad critique to specific analysis. “[W]e live,” he says, “in a social and economic system at odds with both our psychology and our neurology, with who we are as social beings.” I think that this is a huge, and dangerous, oversimplification. Tweedy writes, "Many people believe, and are encouraged to believe, that these problems and disorders—psychosis, schizophrenia, anxiety, depression, self-harm—are theirs, rather than the world’s," and he's right to suggest, as I believe he intends to do here, that we need to collectivise our approaches to mental health; to take a less individualised or atomised view of how these illnesses both function and develop. But what does it mean for a problem to be the world's rather than mine? To adopt an Extremely Philosophy Voice for a moment, what is the world? To borrow from Sylvie Poirier (2005), it is “a world of relationships”—a world of radical interconnection. This is borne out by the neuroscientists Tweedy quotes: they describe the ways in which human brains function collectively, as a reciprocal network. Tweedy describes this as “neuroMarxism”; a deeply exciting (and more than a little Space Communist) concept, to be sure, but one that misses the crucial dialectic relationship between an individual and her material circumstances; the context in which one finds oneself, and that within which, and whereby, we must grow. The world, then, is us. The system is us, in that we are constitutive of, and constituted by, it. The capitalist-Enlightenment theories of self and society aren't metaphysically a priori, but they are 'given' (in a Heideggerian sense): we emerge into them, and so form our being around them, like rivers or like trees. The world, the system: they aren't something "out there", detached from (but impacting on) the individual. We are radically participant, radically complicit, radically interrelated. When Tweedy quotes Iain McGilchrist, who says that “capitalism and consumerism [are] ways of conceiving human relationships [which] came to supplant those based on felt connection”, it isn’t clear quite how he thinks it is possible to have a relationship without conceiving of it in some way: without our very definitions (the conceptual tools we use to build a world) being influenced by the ‘common sense’ notion of what a relationship is and how it operates. 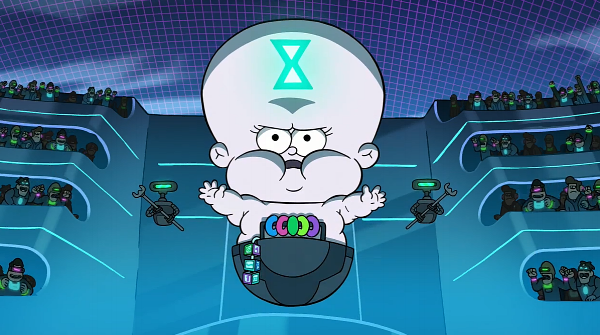 There is, perhaps, a subtextual suggestion that we emerge into the world as fully-formed, if malleable, brains, somehow carrying an awareness or 'imprint' of pre-capitalist ways of relating, as though (like the Time Baby from Gravity Falls), we had been granted some hypothetical detached, objective view of human history. But how can that be the case? From the moment we enter the world, we are of the world. The frameworks we develop, the knowledges we acquire—all of them are the world manifesting in and through us. This doesn't mean we have no agency, but it does mean that Tweedy's argument is built on rather dubious ground. I raise these points not out of some sado-masochistic love of philosophical nit-picking, but out of genuine concern for what such confused onto-epistemological gestures might mean for a radical left politics that aims (as it ought) to take mental illness seriously. I want to explicate why I find Tweedy’s position dangerous. It is, in (concrete, lived, mundane) actuality, unhelpful and a little bit toxic to tell somebody, "you're not actually sick, it’s capital," when their experience is one of being unwell. The difficulty with this is not only that it talks over and denies a suffering person's own experiences (and their experiences of their experiences)³, but also that it unwittingly feeds in to a great deal of the internalised narratives of capital. Internalised means that we learn these modalities through being constituted as subjects under and within capital. The processes embed themselves within our own life-creating processes, or perhaps those processes construct and adapt themselves around the processes of capital. Either way, the result is that we carry out much of the daily work of capitalist indoctrination within and upon ourselves. This can include, for mentally ill people, telling ourselves we’re not “really” sick, even as we lie there, unable to move. This is one aspect of what I think of as “self-surveillance”—and this, of course, is where Foucault comes in. Add to this an understanding of the ways in which trauma has been shown to alter behavioural patterns and neurophysical responses—the very fabric of who we are and how we relate (van der Kolk 2015)—and we can see how, through self-surveillance, the state no longer has to work as hard to reproduce certain biases and perspectives. As fully-constituted capitalist subjects, we do the work ourselves; the seeds, once planted, grow hungrily towards the light. This process is what I refer to—because I have a habit of personifying things—as the Interior Thatcher. This was pretty much what the 1980s were like in the UK. I grew up in the 1980s. My earliest thought processes were formed within and by these discourses. Though I don't believe them on a political level, they're still embedded in some deep part of my brain as very early Social Truths, learnt at a time when I was particularly absorbent. So when I'm lying in bed, unable to move, so weighed down by the exhaustion, the flashbacks, the guilt, the self-blame, the migraines, the whole barbed tangle of physical and mental responses to traumatic violence, it's something close to impossible for me to show compassion for myself. When my mind is full of static and fizz, and the unbidden memories, and the reflexive distraction and dissociation techniques I've developed to avoid looking straight at them—that's when those deep, early parts of my brain kick in. And they say: you're a recusant, an aberration, a parasite. There are no can'ts: you just won't. You're not really sick. You're just lazy, useless, worthless. What have you achieved in life? What will you ever achieved? What have you to show for these 35 years? They speak in my mother's voice, usually; but the words, the rhetoric—that's Thatcher. Embedded within some fathomless part of me, doing the work of Thatcherism—the work of capital—so the system doesn't have to. Efficiency always was a keystone of Conservative thought. And, to return to Foucault, I tell myself that this is necessary and healthy self-examination; I tell myself that I need the Interior Thatcher: how else to be sure that I'm a worthwhile person? Of course, though, it isn't healthy or necessary at all: it's destructive self-surveillance. What I'm witnessing is my mind working against itself. Fanon's description of these germinal, durational processes illustrates the ways in which oppressions implant and replicate themselves within the oppressed. In this way, oppressions have the capacity for endless reproduction and mutation. In my Master's thesis, Wilful Love, I termed this set of processes abuse culture—and while, as I've said, I don't want to draw an exact parallel between the conditions I discuss in this post and those (far worse) suffered by colonised people, I do want to suggest an echo, a similarity which in turn suggests a route to solidarity and common purpose (since capitalism and colonialism are inextricably interlinked and mutually-replenishing). And I want to suggest that the anti-capitalist struggle in the so-called 'West' can learn from the decolonial struggles and resistances that have endured across centuries of unthinkable physical and psychological violence. Thank you for reading (if you made it this far)! Fanon, Frantz. 2002. Le Damnés de la Terre. Paris: Éditions La Découverte & Syros. Foucault, Michel. 1979. 'Omnes et Singulatim: Towards a Criticism of Political Reason.' In Sterling McMurrin (ed.). 1981. The Tanner Lectures on Human Values, Vol II. 225-254. Salt Lake City: University of Utah Press. Locke, John. 1698. Two Treatises of Government. Widely available. Moore, Jason W. 2015. Capitalism in the Web of Life: Ecology and the Accumulation of Capital. London: Verso. Poirier, Sylvie. 2005. A World of Relationships: Itineraries, Dreams, and Events in the Australian Western Desert. Toronto: University of Toronto Press. Samuel, Raphael. 1992. 'Mrs Thatcher's Return to Victorian Values'. Proceedings of the British Academy, 78:9-29. Inasmuch as land can 'belong' to anybody in many Indigenous worldviews. This is different from the State of Nature described in the work of Thomas Hobbes. For Locke, a state of nature is simply something found in its natural or original, untouched state. In a Lockean view, humans alone are separate from, and elevated above, 'nature'. The implicit suggestion here, then, is that Indigenous peoples are less-than-human and therefore no rights pertain to them, least of all rights of ownership, since 'nature' cannot 'own' itself. If we deny, disbelieve, or otherwise undermine people's own accounts of what they are experiencing, we are essentially gaslighting them. My translation and slight paraphrase. The original: "Mais la guerre continue. Et nous aurons à panser des années encore les plaies multiples et quelquefois indélébiles faites à nos peuples par le déferlement colonialiste. L'impérialisme... abandonne çà et là des germes de pourriture qu'il nous faut implacablement détecter et extirper de nos terres et de nos cerveaux." My translation. The original: "pour nous-mêmes et pour l'humanité, cama­rades, il faut faire peau neuve, développer une pensée neuve, tenter de mettre sur pied un homme neuf."